The Chicago house legend returns with his first album in 27 years this month. Before that, he drops a masterclass in eternal style. Mike Dunn is an indelible figure in the history of house music. The Chicago artist emerged in the late '80s with his own productions after years spent tearing down the city's block parties, basements, and clubs with his reel-to-reel DJ sets and live track compositions. Soon he was sharing the stage with fellow giants Ron Hardy and Larry Heard, producing with other top talent like Armando Gallop and Tyree Cooper, and releasing classics of his own, like "Dance You Mutha," "Let It Be House," "Magic Feet," and more. In 1990, Dunn released his debut album, Free Your Mind. 27 years later, he is following it up with My House From All Angles, which is dropping on December 7. That doesn't mean he's suddenly returned to music, though — outside of DJing around the world, Dunn's sound and trademark vocals have been heard on countless compilations, as well as singles like the massive "Phreaky MF," and production for other artists, all released on under a range of different aliases and across labels, including Dunn's own imprint Blackball Muzik and Diddy's Bad Boy Records. Now, Mike has generously poured his skills into a FADER Mix, streaming below. 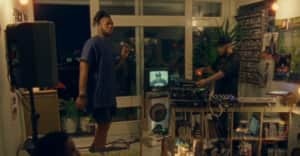 Its seamless energy is both consistent and varied: you'll hear cuts from My House From All Angles, along with club classics and emerging sounds, and perhaps the best mix of "Bodak Yellow" you'll hear in 2017. 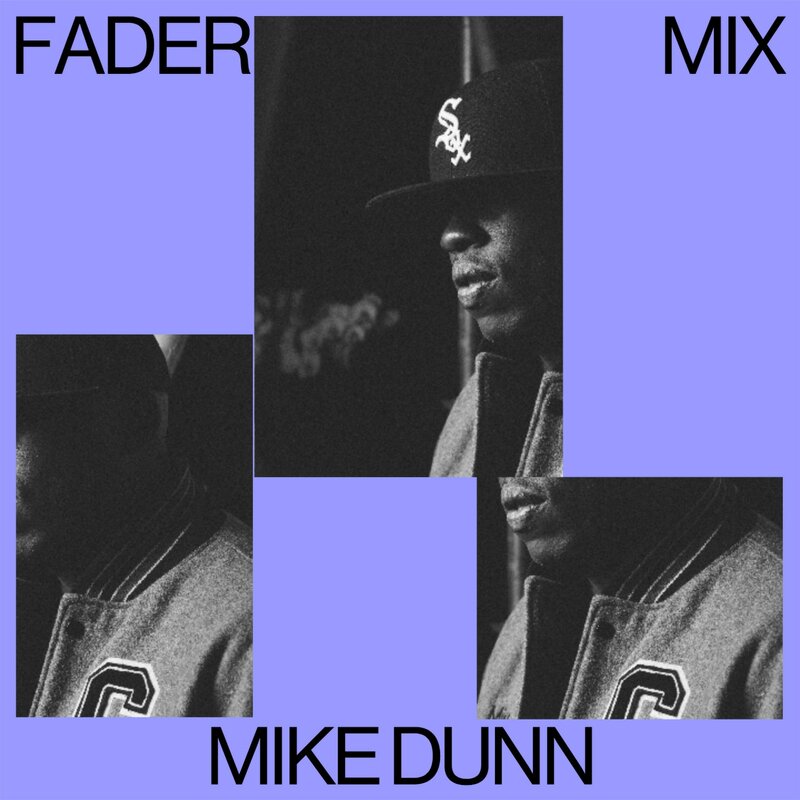 Listen to Mike Dunn's FADER Mix below, followed by an interview on his return to LPs and his thoughts on changing audiences. This mix is a selection of things that I’m feeling right now, some tracks from the album, my guys Paranoid London are in there, plus some other new records and tracks from the album. I hope people enjoy the mix and understand it. Going to the record store with my mom to pick out records, or my mom was picking out records whilst I watched — she’d pick up disco and other 12”s. We’d have music playing all the time around the house, my dad would be listening to Motown, my mom The Four Tops, as well as a lot of jazz, and rock such as Led Zeppelin and Queen. Why did you decide to return now with this album? It wasn’t a planned thing — but when I returned back to house after doing hip-hop and R&B for Bad Boy Records, I was just doing a lot of tracks and coming up with some good stuff. It’s hard to express yourself single by single musically. It’ll take forever to get out there and it's hard for people to understand where you’re at. Me and my manager Mark Potts started talking about it two years ago and started working on it — the more tracks I did the better the tracks were coming out so we just decided to do a whole album. I knew it had been a long time since I did one, as house music isn’t really an album type of thing unless it’s a compilation, but I wanted to do the album to express myself more musically at one time rather than in bits and pieces. You've been a prolific DJ for years — how have the audiences changed since you began? Music is universal so I play for different crowds, younger, older. When I'm home in Chicago doing my residency "We r Tuesday Nights," I just get to express myself. I like to take people on a journey, forwards, backwards to the future. The audiences haven’t changed that much, it's just about reading the crowd and seeing where you can take them to. Who are some of your vocal inspirations? From the past, James Brown, George Clinton, Barry White. Presently, Monique Bingham, Dajae, Dawn Tallman. I'm really feeling a lot of female vocalists right now, as well as guys like Josh Milan and my man John Pearce. Well two books: I'm always reading The Bible and Robert Green's 48 Laws of Power. Both of 'em just keep me rooted, humble, and keep me on a straight path. 48 Laws of Power, that’s just understanding life and how it works, and things that you can and can’t control. It’s an awesome read. I have several dishes that I think I'm great at, that taste good and people like. I’m a big rice guy, even though I shouldn’t have it as much as I do. I make a pretty awesome cube steak and rice dish. I’m also a big pasta guy, I like Italian dishes, so I like linguine, spaghetti, macorroni, chicken and pasta, turkey and meatballs, and things like that. My favorite thing to do with friends is have fun, share love, and basically music! Enjoy music and enjoying life as tomorrow's not promised. I have very few true friends, so the few friends I do consider unconditional love friends, this is what we do. Mike Dunn – "DJ Beat That Shhh"
Mike Dunn - "Let's Go"
Pasilda – "Afro Medusa (Knee Deep Club Mix)"
Makito – "Yes It Was"
Mike Dunn Feat Jass Man - "Have it 4 U Babe"
Demajor feat Lizwi – "Traveller (Kussa and Quetornik remix)"
Block & Crown – "No Doubt About It"
Olly Davis – "What You Smoking"
Luces – "The Moment You Know (You’re Never Low)"